Item # 307567 Stash Points: 5,995 (?) This is the number of points you get in The Zumiez Stash for purchasing this item. Stash points are redeemable for exclusive rewards only available to Zumiez Stash members. To redeem your points check out the rewards catalog on thestash.zumiez.com. 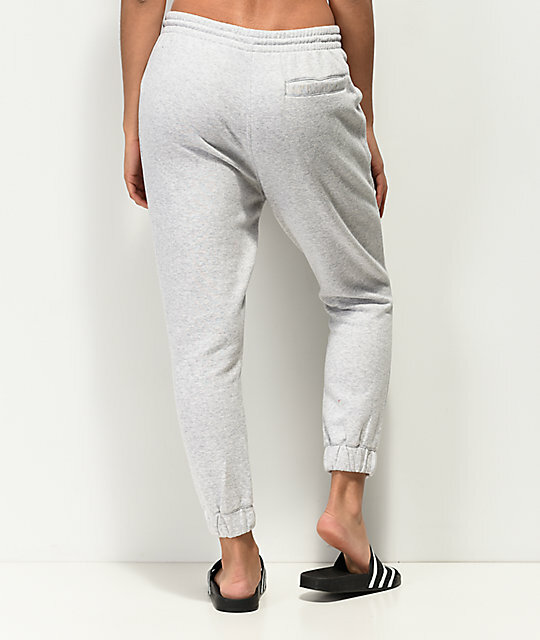 Suit up in signature 3-stripe style with the ultra-comfortable Coeeze Light Grey Jogger Sweatpants from adidas. 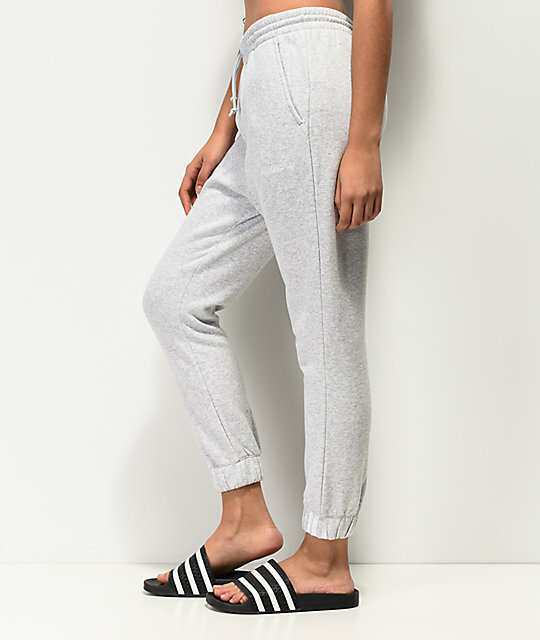 These relaxed fit sweatpants feature a thick, elastic waistband and ankle cuffs, highlighted by 3 white stripes sewn onto the leg openings for a hint of branded flair. An embroidered adidas Trefoil logo is added to the left hip, while an adjustable drawstring waistband and soft fleece lining create a stylish sweatpant that will keep you comfortable all day long. 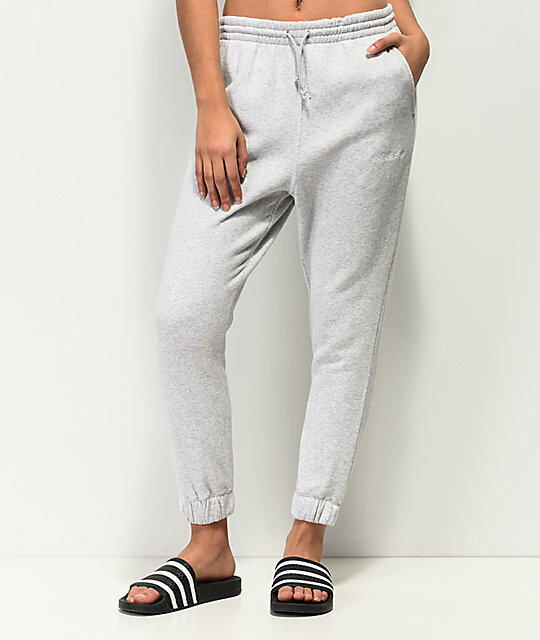 Coeeze Light Grey Jogger Sweatpants from adidas.